A Northern Indiana Public Service Company coal plant in Michigan City, Indiana. An Indiana utility will delay its plan to install top-of-the-line wastewater pollution controls at its largest coal plant as the U.S. EPA reconsiders the federal Obama-era rule that prompted the upgrades. The delay from the Northern Indiana Public Service Co. (NIPSCO) is among the first clear effects of President Trump’s aggressive rollback of environmental regulations, according to advocates fighting the EPA’s actions in federal court. Even so, environmentalists agree that NIPSCO would be better off shuttering the plants instead of investing ratepayer money in costly upgrades to keep them open. NIPSCO first sought approval from state regulators in November for a $400 million plan to comply with two 2015 federal rules regulating wastewater and coal ash storage. As that case proceeded, EPA Administrator Scott Pruitt said in April his agency would delay enforcement deadlines for the wastewater rule, or Effluent Limitation Guidelines (ELG). The EPA’s “administrative stay” was put in place amid ongoing litigation from industry groups challenging the rule. 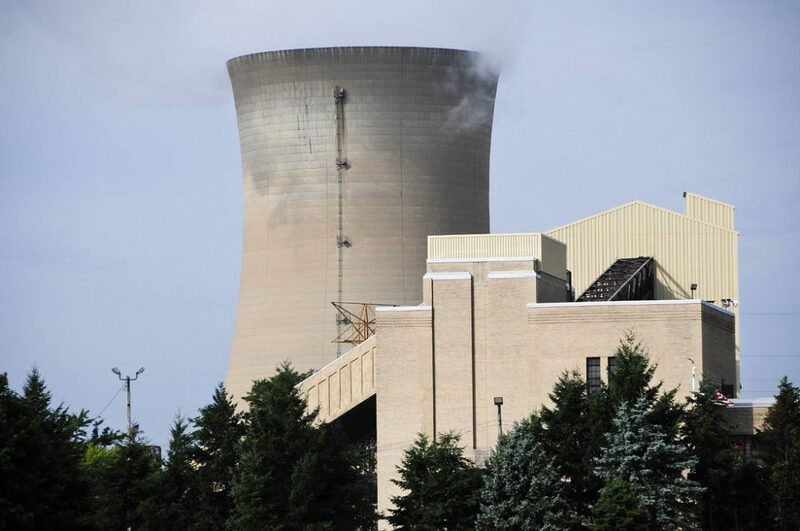 In June, NIPSCO cited the stay when it dropped the part of its plan seeking $170 million from ratepayers for ELG costs at its Schahfer Generating Station in Wheatfield. NIPSCO’s plan to install a “zero liquid discharge” system — controls matched by only a few plants in the country — at its Schahfer plant was “a big deal,” said Thomas Cmar, an attorney with Earthjustice, one of several groups fighting the EPA’s stay in federal court. The stay also paved the way for a proposed settlement in NIPSCO’s regulatory case that would commit the utility to some coal unit retirements and additional energy efficiency investments. Though the proposed agreement delays the wastewater plan, it keeps NIPSCO’s request for customers to fund around $200 million in coal ash handling and storage upgrades required at its three coal plants by the 2015 coal ash rule. Citizens Action Coalition, a consumer rights group that joined the settlement, would have opposed NIPSCO’s case if the utility hadn’t dropped the wastewater control upgrades, said the group’s executive director, Kerwin Olson. The plants are uneconomic and shouldn’t receive additional ratepayer investment, he said. The Sierra Club opposes the settlement proposal, arguing that NIPSCO should commit to retiring all of its coal plants. The utility plans to retire its Bailly plant in 2018 and two of four units at Schahfer in 2023, though the settlement would only make the Bailly timeline binding. NIPSCO said during its most recent 20-year planning process that shutting down its Michigan City plant and the other half of Schahfer would save customers money, but keeping them open would be better for their employees, the local economies where the utility operates, and the diversity of their generation portfolio. Before the EPA’s stay, utilities had until the end of 2023 to comply with the update to the effluent rules finalized in 2015. The revision was the first for ELG rules since 1982 and tightened restrictions on the amount of metals like arsenic, mercury and lead that coal plants could release into waterways. Earthjustice filed suit in federal court seeking to block the stay, arguing that the EPA doesn’t have the authority to pause the rules and didn’t follow proper rulemaking procedure. Some plants were already on their way to compliance with the new rules, said Cmar, the Earthjustice attorney. A few U.S. coal plants already have zero-liquid-discharge systems like the one NIPSCO is delaying, including Kansas City Power & Light’s Iatan plant and Public Service Company of New Hampshire’s Merrimack plant. Indianapolis Power & Light is installing a zero-liquid-discharge system at its Petersburg plant, which is scheduled to begin operating this year. The systems have the potential to “completely eliminate the most toxic wastewater stream that power plants produce,” Cmar said. Vectren, a utility in southern Indiana, said in December that the coal ash and effluent rules were driving its decision to retire all but a few of its coal plants. The utility said then that it was going to upgrade one plant and that related petitions to the Indiana Utility Regulatory Commission would come in the “near future,” though none have yet been filed. “We are still evaluating in an effort to gain greater clarity on the impacts of the stay,” said Natalie Hedde, Vectren’s director of communications. Though a utility trade group has asked the EPA to change parts of the coal ash rule, NIPSCO’s plans to comply with it as written remain in the proposed settlement agreement. The EPA hasn’t yet responded to the industry request. NIPSCO’s $228 million coal ash plan was negotiated down to $192 million, most of which would cover remote ash conveying systems at Schahfer and Michigan City. The agreement would also commit NIPSCO to seeking proposals for an additional 546 gigawatt hours in demand-side management savings from 2019 to 2021. The utility agreed to use its next round of resource planning to more seriously consider energy efficiency and renewable energy to replace the generation lost by its coal retirements. NIPSCO had previously indicated it would fill that hole with natural gas, and the Citizens Action Coalition said the settlement commitments could shrink or eliminate the need for it. The Sierra Club opposed NIPSCO’s regulatory case before the effluent portion was dropped and will oppose the settlement. The group’s argument is based on NIPSCO’s own finding during its most recent round of resource planning that retiring Bailly, Schahfer and Michigan City would cost its customers less than keeping any portion or combination of them running beyond 2023, according to Jodi Perras, the group’s Beyond Coal campaign manager for Indiana, Michigan and Kentucky. “Somebody ought to be pointing out to the commission that what they’re suggesting is propping up some coal plants that are losing money and that are going to continue losing money,” Perras said. The utility argued to regulators that keeping Michigan City and half of Schahfer open would prevent job losses and other damaging local economic effects. But Perras said NIPSCO hasn’t provided evidence or analysis that backs that up, nor have they considered the potential tax benefits of redeveloping a retired plant or jobs created by greater investment in renewables. A hearing for the proposed settlement, which must be approved by regulators, is scheduled for Aug. 21.